On April 24, 2013, the Rana Plaza factory collapsed in Bangladesh. It wasn't the first (or the last) serious accident to occur in a garment factory, but it was the largest on record. Thousands of workers lost their lives, and one year later, Fashion Revolution Week launched in their honour to bring awareness to the negligence of the industry, and to promote ethical fashion as an alternative. Now, there are organising committees in 98 countries, running events worldwide for the entire month of April. I first met the incredible Kirsten Lee at our local yoga studio. Kirsten is on the volunteer working committee for Fashion Revolution while completing a PhD in ethical fashion. I am doing a PhD in marine science, and I've been surprised by how much our work intersects. We sat down last week to talk about the health and future of our oceans and their unlikely hero, the ethical fashion industry. LL - We've known for a long time about the connections between oil and agricultural pollution and the health of the oceans. 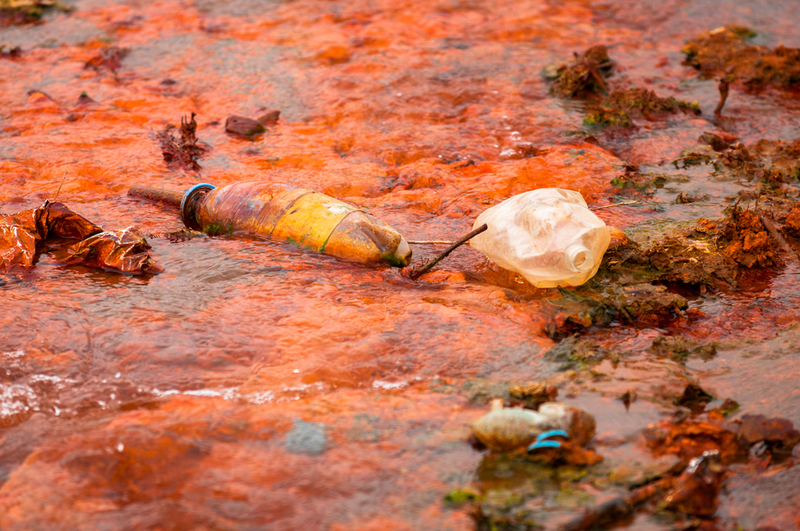 However, even in marine conservation, there has been much less focus on the impact of textile production, despite the industry being the third biggest contributor to marine pollution. KL - Growing cotton, dying and rinsing fabrics, leather production, creating synthetic fabrics, and the worn effects on denim are all thirsty business, using astronomical amounts of water! 2720 litres to make a cotton tee!!! Crop-grown textile fibres also require high quantities of pesticides, and, of course, once used, all this polluted water is carried straight out into the oceans. They say you can tell what colour will be in fashion by the hue of the rivers in China, running through the textile provinces. Many main water bodies in China, Mexico, Indonesia, Bangladesh and India are poisoned, dead, or badly polluted by the textile industry. Do you think this environmental negligence is a result of most garment factories being in developing countries, where it's just easier to get away with environmental damage? Even in countries where there are environmental protection laws, they are rarely enforced, and companies will go to great lengths to hide what they are releasing. It is so easy to blame the factories, but they are run by individuals trying to make a living and keep up with increasingly unrealistic deadlines and set by a rapacious fast fashion industry, to appease overconsumption. They are commissioned by big brands demanding huge orders to increasingly tighter deadlines, for cheaper prices. If another factory can do it cheaper, they can lose the order. So in these countries, if the government is too corrupt to regulate things properly, and the priority is for workers to feed their family that night, ultimately, the only thing driving the industry is the unrelenting pressures from the market and the consumers - which is us. Should we be placing more pressure on brands to take responsibility? The brand needs to ensure the factories they use are operating at a certain standard. 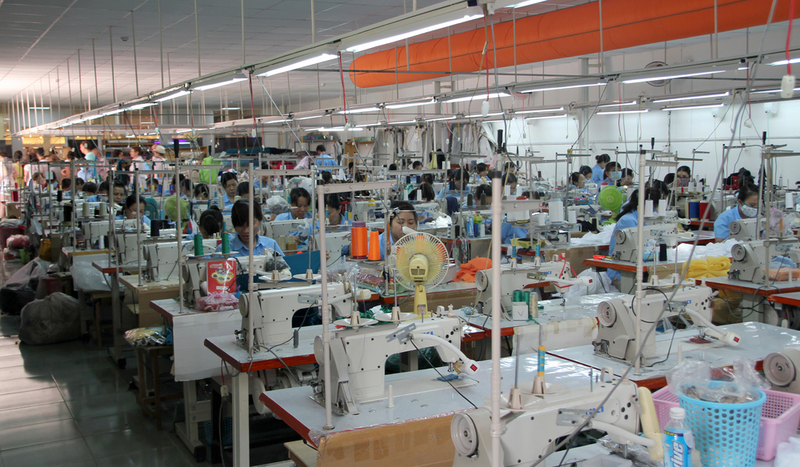 Some companies have created in-house positions where an individual or team, working on-site, monitor the environmental impact and regularly survey the garment workers for any issues, and advocate on their behalf. What about actual fair-trade certifications or environmental impact certifications as opposed to just superficial 'greenwashing'? Certification is a long process, but it is being done! And as consumer awareness of this issue grows, more and more people are demanding this kind of transparency, and brands respond to market demand. Just writing to companies or tagging them on social media has already made a huge impact. Yes! And of course, supporting fair trade, sustainable and slow fashion brands that are really making an effort. As Vivienne Westwood said, "Buy less, Choose well, Make it last. Quality, not quantity. Everybody's' buying far too many clothes." We need to kick our overconsumption habit before we use up the planet. So what about the clothes we already own? In marine science, for the past few years we have been talking about plastics in single use packaging breaking into small pieces, called microplastics. Recently I've been coming across more and more research actually blaming synthetic fibres, from washing things like spandex, as being a huge part of this problem - 1 Million Women actually published a great in depth article about this last year. Thousands of these synthetic fibres can be released per garment, per wash! Once in the oceans, they end up being swallowed by marine animals. Currently, grey water filtration extracts around 70% of microfibres from clothes washing. Machines need to be fitted with better filters, or washing filter bags can be used, like one stocked by Patagonia, an outdoor fashion label who are also big researchers in the area of garment sustainability. I just never assumed my yoga clothes, of all things, would be toxic for the ocean! Did you learn about this when you studied design? To be honest, I didn't learn about any of this during my fashion education! I didn't even know that these were issues! I attended a private fashion college in 2000, then TAFE and university. By the time I'd completed these qualifications I still had absolutely no awareness of the social or environmental implications of my profession as a designer, or of the fashion industry. To my knowledge, there are currently only a few institutions that formally teach ethical or sustainable fashion design. I would hazard to guess that many students are mostly unaware of their responsibilities and impact when they graduate. However, there is so much research being done, and some great documentaries, books, articles and papers on these issues that we can use to educate ourselves! Saving the planet, our oceans and changing the way we conduct our industries is a process, and we don't have all the answers yet, but knowing what is going on is the start. Ultimately, that is what Fashion Revolution is all about - learning, spreading awareness, being creative and doing things differently, caring about how we can each make a difference, for our shared future. Liberty Lawson is the director of Holographia, a publishing collective for star gazers, scientists, philosophers and artists.She is an Ocean Ambassador for Positive Change For Marine Life, and is currently completing a PhD at The University of Sydney on coral reefs and conservation politics. This article has been co-published with The Ladies Network.